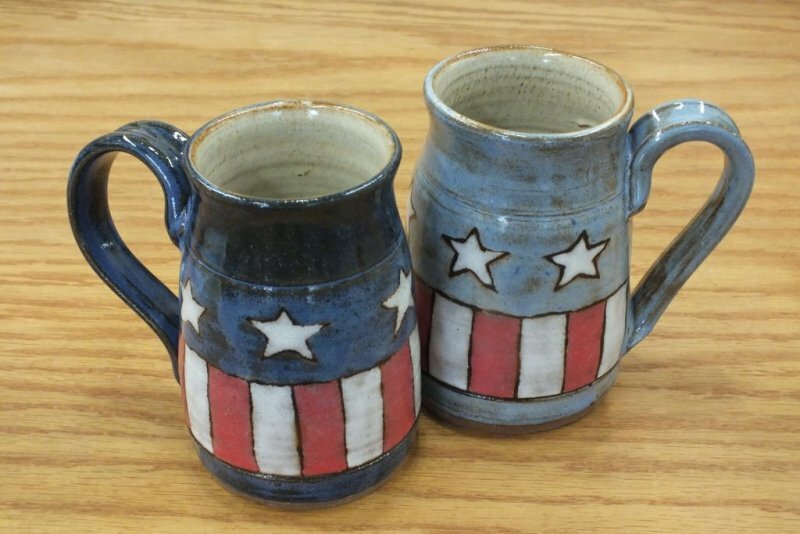 Clay artist Patricia Munson moved to her home in the small community of Chimes in Southern Searcy County in 1973. 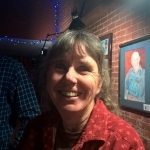 She lives there with her husband Greg in the home where they raised their two children. They grow most of the vegetables they eat and enjoy the quiet life, living about 30 miles from the nearest stop light. 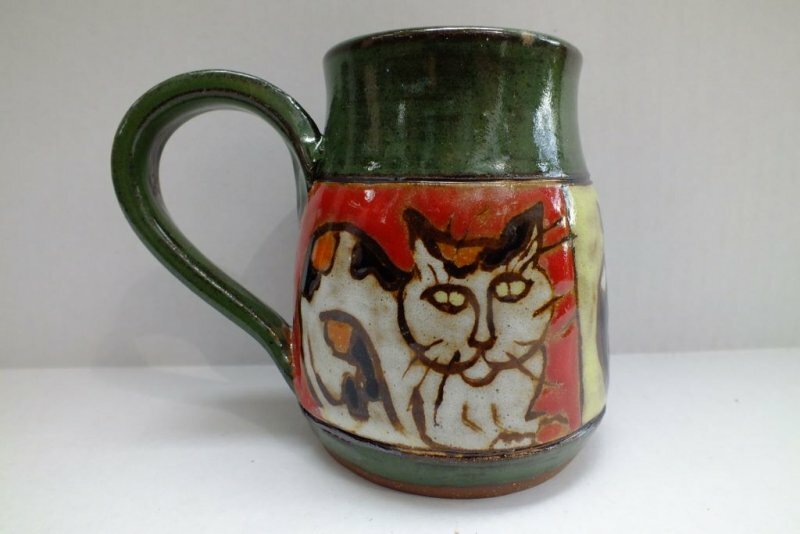 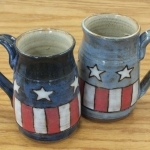 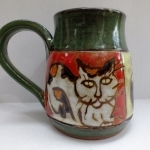 She studied pottery and art at the University of Central Arkansas in the 1980’s. 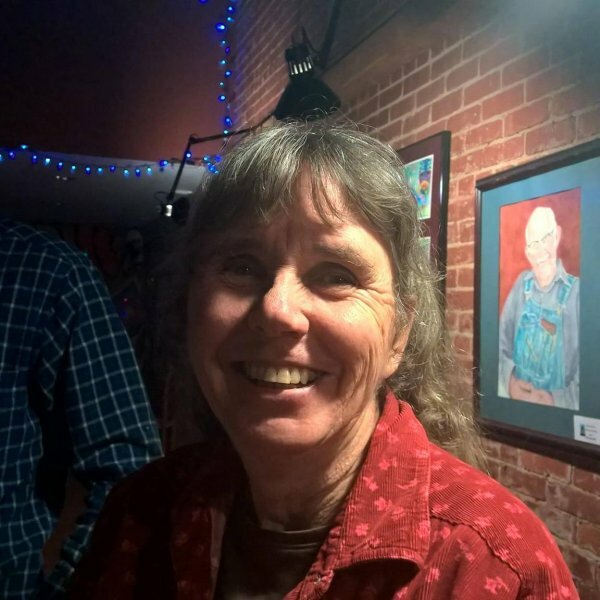 The nature and culture of rural Arkansas find their into the themes of much of her work. 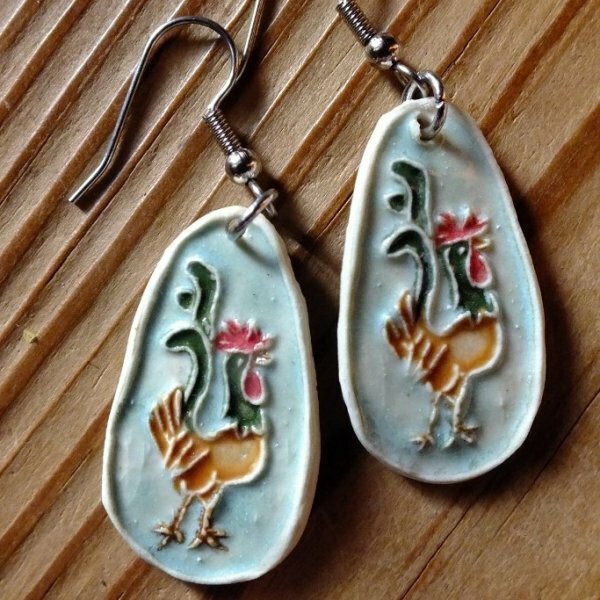 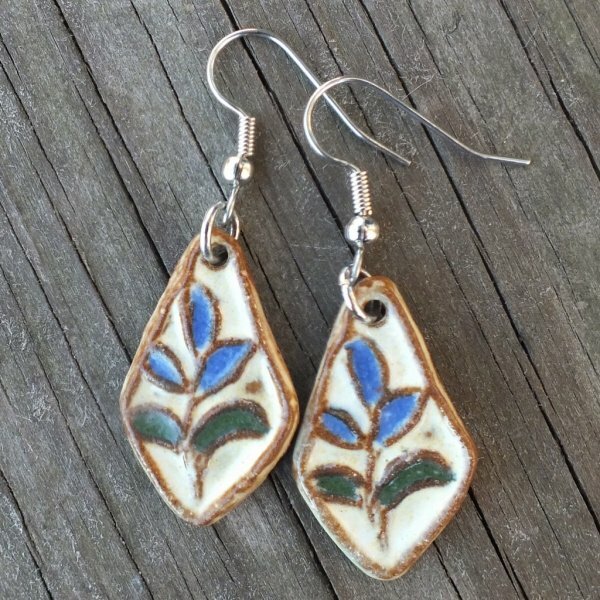 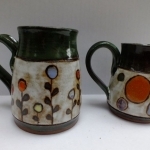 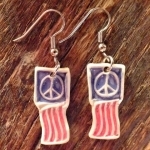 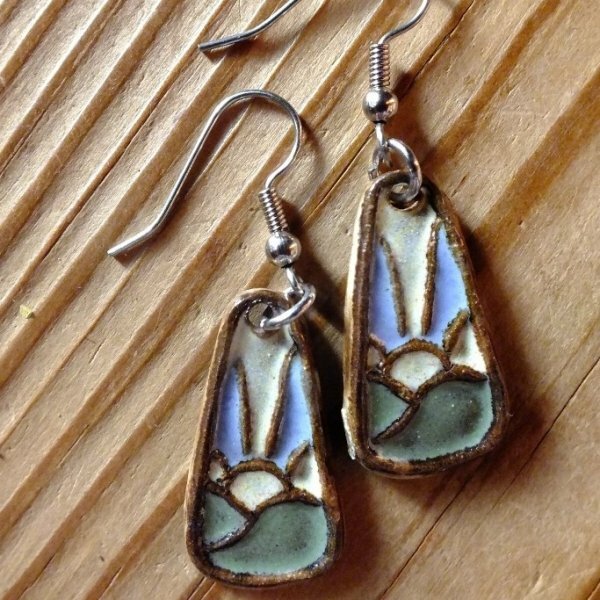 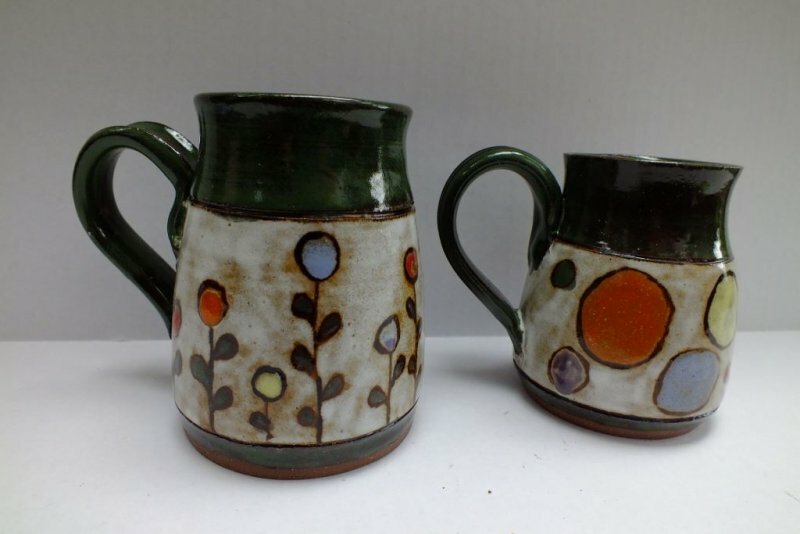 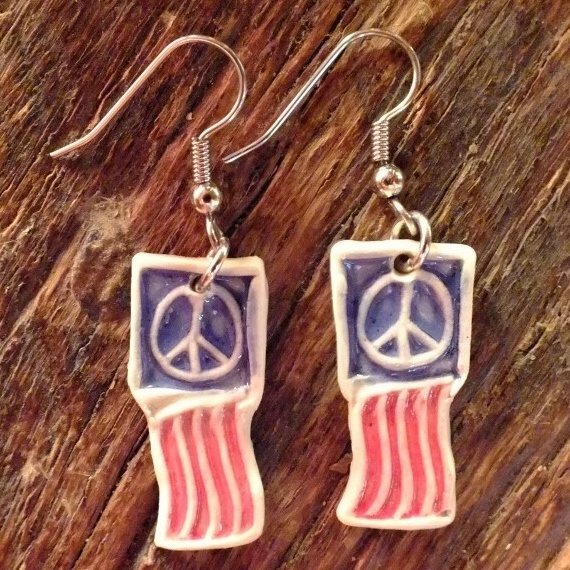 Leaves, trees, flowers and patchwork designs are common in her earrings and pottery. 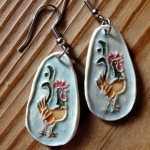 She makes earrings using small molds she formed from clay and fired to the bisque stage. 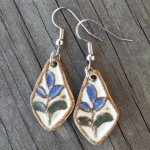 The molds are pressed into sheets of clay then the tiny tiles are cleaned and fired once to around 1800 degrees F. Glazes and slips are then applied and the small art works are fired to a final temperature of around 2230 degrees F.
Links to her online Etsy and Amazon.com stores can be found on the earrings page of the web site.